October is National Cookie Month, the perfect time to take your cookie dunking to a new level. Dipping your cookies in milk, hot tea and coffee is still en vogue, but which cookie you dunk, how you dunk it and what you dunk it in have all gone where your childhood chocolate chip cookie has never gone before. We think dunked cookies taste better dunked, but a British experiment proved it. Scientists at the University of Nottingham put a tube up the nose of chef Heston Blumenthal, star of TV show “Heston’s Fantastical Food”. Then they had him eat biscuits (Brit for “cookies”) before and after he dunked them in tea. The tube measured flavor and recorded it on a computer. Dunked cookies spiked the amount of flavor sensed and released aromas into the chef’s nose more quickly. Or as Heston put it, “dunking makes the biscuit taste more biscuity”. Consummately answering the age-old question, “to dunk or not to dunk” (dunk). Think manually soaking your cookie in a glass of hot tea or milk is the only way to dunk? Think again. The cookie geniuses at Awkward Engineer Creations designed the perfect vessel for dunking. The cup uses High-Milk-Displacement Dunk-Chamber technology to maximize the ratio of milk “dunkage” to spillage. Designed for the basic sandwich cookie, it holds up to 8 oz. of milk. But that’s not all. A new Oreo Dunking Spoon curves around the creamy center, so you can dunk your cookie without dropping it or getting your fingers soggy. The cookies you can dunk are endless. In the UK, Brits dunk the chocolate Digestive biscuit, or a sweet-meal cookie with one side coated in chocolate, in tea or coffee. In South Africa and India, the cookie of choice is the rusk, a hard, dry, sourdough biscuit. In Marcel Proust’s novel “In Search of Lost Time”, the narrator thinks back to a childhood memory while dunking a madeleine, or a French cake, in tea. When you crave a cookie dunk, a cold glass of milk might be the first thing that comes to mind. 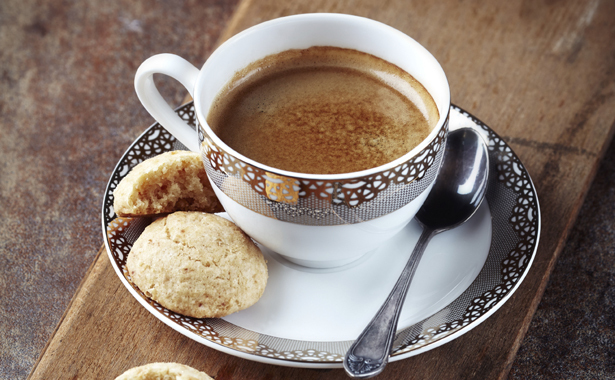 But did you know that tea and coffee are also common companions to the dunked cookie? Daring dunkers around the world dunk in soda, cappuccino, hot chocolate and even beer. Mix cream cheese, butter, vanilla and Nutella until smooth. Stir in brown sugar and powdered sugar, mixing well. Next fold in cashews, marshmallows and sprinkles. Serve with your favorite cookie and dip. Want to transport a dunker to the next level of cookie bliss? 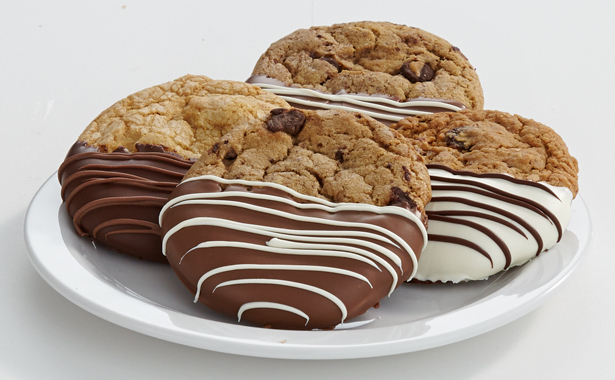 Surprise them with our chocolaty dipped cookies, no dunking or dipping required.